The SOOF life is different from all the other forms of blepharoplasty, or eyelid surgery, that surgeons perform on the lower eyelid.One of the signs of advancing age in the eyes, along with the formation of crow’s feet, is the sinking of a tiny deposit of fat under our eyelids called the suborbicularis oculi fat (or SOOF).This deposit sinks to the tops of the cheeks as the fascial layer, which holds it in place, loosens. This makesyour eyes look wider than they really are and creates little puffy areas underneath them. There are several different procedures intended to correct this. In one of them, the open lower lid blepharoplasty, the surgeon makes an incision under the eyelashes of the lower lid, lifts the skin and muscle and removes the fat. This does take care of the wrinkles and puffiness, but the absence of the SOOF gives a hollow look to the lower eyelid and tear trough. The SOOF can be replaced by another deposit of fat taken from a different part of the body, but this doesn’t always take, and when it doesn’t… let’s just say you need more surgery right away. In a SOOF lift (which was developed by a surgeon right here in Charlotte, NC) the surgeon lifts the original suborbicularis oculi fat deposit back into place and tightens the fascial layer so it will stay there. This requires greater skill, but creates a more natural appearance and has a higher chance of success. The best time to perform facial plastic surgery procedures such as the SOOF lift is in the winter. You’ll be spending more time inside anyway, and it’s much easier to keep incision sites out of the sun, reducing the risk that sun exposure will cause scar tissue to become more prominent. The recovery period for a SOOF lift is about one to two weeks, and the stitches should come out after the first five days. As with any surgery, you shouldn’t smoke or drink for a few weeks before or afterward. Ask your surgeon for more advice on caring for yourself. 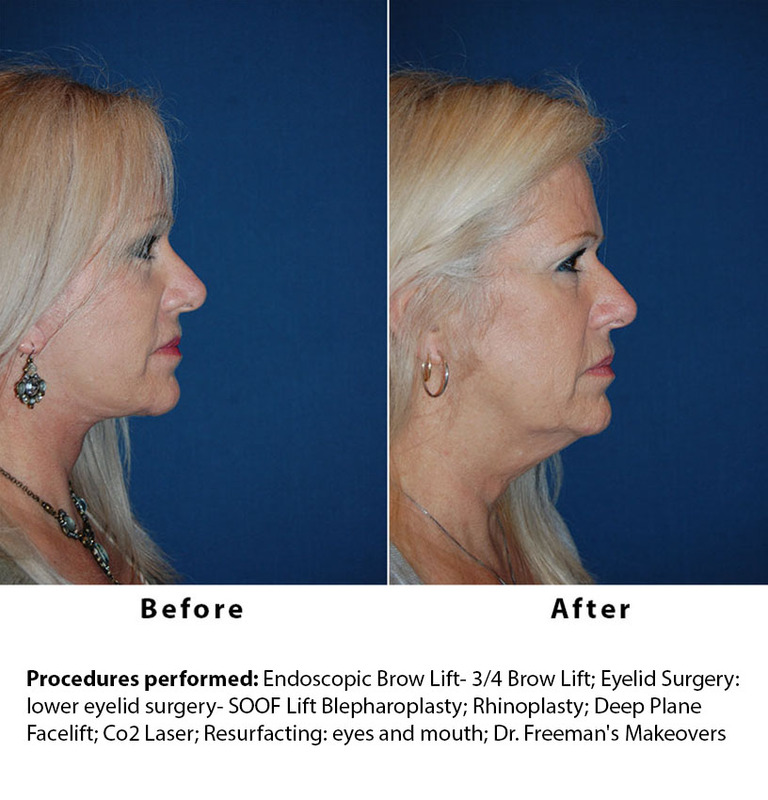 The doctor who developed the SOOF lift blepharoplasty as an alternative to the traditional procedure is Dr. Sean Freeman of Charlotte. He has been certified by two different surgery boards, the American Board of Otolaryngology (head and neck surgery) and the American Board of Facial Plastic and Reconstructive Surgery. Since 1988 he has done nothing but facial plastic surgery, including eyelid surgeries, and has often taught this procedure to other surgeons. If you are interested in this procedure, call his office or request an online consultation for a discount on the consultation fee.